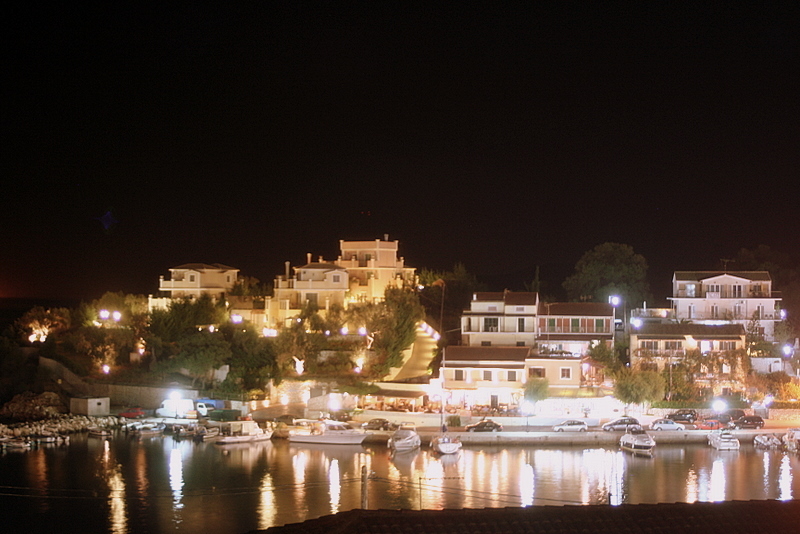 Corfu has an active nightlife scene. Whether you are seeking a relaxing and simple evening, a party atmosphere, an opportunity to let your hair down and dance or would like to try your luck at the casino, Corfu offers something for everyone. There are far too many restaurants, tavernas and cafes on Corfu to name individual places, however, most of the towns and villages have a good selection of eateries of varying prices and quality. An evening of good food, drink and company followed by a stroll along the water's edge can make a very warm and pleasant memory to take home with you. Many of the tavernas and restaurants will lay on entertainment, usually in the form of traditional Greek dancing. As with elsewhere around the world, Corfu has many nightclubs for the young and young-at-heart to dance the night away in. A selection of clubs includes the relatively sedate Aktaion which is located just to the right of the Old Fort, and the Cafe Classico found in an old mansion at Odos Kapodistriou 10, featuring the latest music. For those seeking more excitement, a selection of flashy discos such as Apokalypsis, Hippodrome, and DNA can be found beyond the New Port. Others include Edem Cocktail Club in Dassia, whilst Kavos features the Venue Club. Also in Kavos is the Limelight Club that occasionally features big-name DJs from around Europe. There are other clubs in Sidari, Roda and Aharavi. In summer, there are frequent concerts laid on by the town's orchestras and bands. These are mostly free and are staged on the Esplanade. Interestingly, Corfu Town is home to the oldest band in Greece. The Carnival is a grand affair that is celebrated on the last Sunday before Lent. It features a parade that culminates with a burning of an effigy representing the spirit of Carnival. For those who like to try their luck at the tables, there is a casino at the Corfu Holiday Palace, located just a few miles outside of Corfu Town. It is open every night and attracts an international clientele during the peak summer season.